Botox as a Cure for Foot Pain? As a Houston podiatrist, I always like to keep on top of new trends in treating foot pain. For quite some time now, researchers have been exploring the effectiveness of a treatment designed to help manage foot pain associated with plantar fasciitis and Morton’s neuroma . 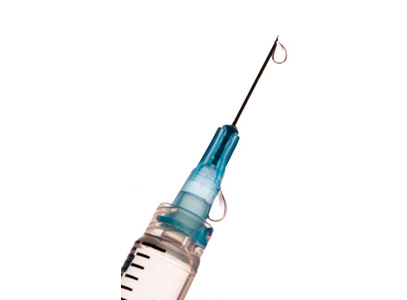 The treatment may be surprising to you: it’s Botox injections. I know it’s typically thought of as an anti-aging drug, used to correct wrinkles, but studies like this one seem to suggest it could help manage the pain of several common foot problems. In one study, scientists in Spain explored the potential benefits of treating Morton’s neuroma with Botox injections. Morton’s neuroma is a potentially crippling nerve problem located in the ball of the foot and toes; it can cause you to experience numbness, tingling, shooting pain, sharp pain, or cramping pain when you try to walk. In the Spanish study, researchers discovered that over 70% of patients had less pain after getting Botox injections in their feet, although about 20% said they experienced little or no improvement in their condition. In another study, Botox was explored as a treatment for plantar fasciitis, a painful condition of the heel and arch in which you feel sharp, stabbing pain because of an inflammation of the plantar fascia. Researchers gave patients a Botox injection and then followed them for a year afterwards; most of the study members experienced a good amount of improvement in their comfort level after the injections. Thanks to these two studies, Botox is beginning to emerge as another weapon in the arsenal of treatments for foot pain. And as an added bonus, it might even keep your feet looking smooth and wrinkle free. At Tanglewood Foot Specialists, I am willing to explore any legitimate treatment if it means leaving your feet pain free. If you are experiencing foot pain because of Morton’s neuroma, plantar fasciitis or any other condition, make an appointment to see me today. I will do whatever is needed to manage your discomfort. Does anyone know of a podiatrist or ankle and foot specialist in Minnesota who does Botox for Morton's Neuroma and Plantar Fascitis? Sometimes when foot pain becomes severe it needs some professional treatment. Botox can be a good move towards solving the problem of foot pain in many cases.